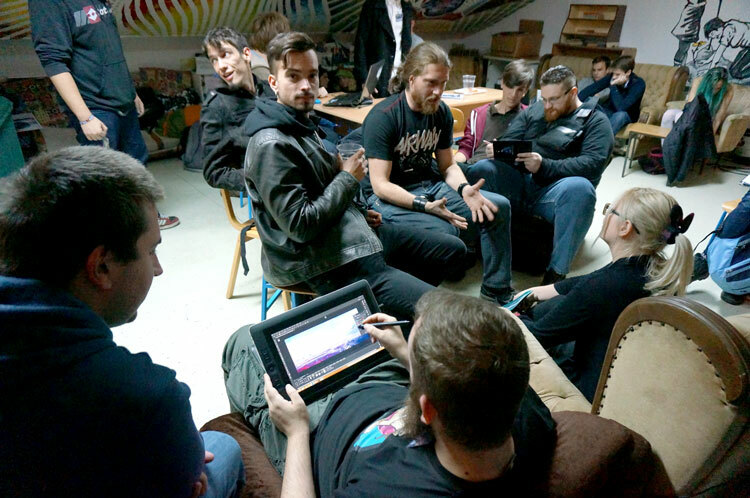 Artist meet-ups, artist dates, sketch groups, whatever you prefer to call them — they're an awesome way to socialize with like minded people, and it's not only fun, but it can be productive as well! It might sound like a regular coffee date at first, and you might think no one gets anything done, but from my experience it's far from true. You gathered for a reason — to create. NaNoWriMo Write-In in my apartment. Plenty of tea and snacks for everyone! recently one of my best friends started organizing a monthly meet-up of a creative collective called "The Hauntlings". If you never attended such a creative gathering, here's what you might be missing out on. When you set the date and time of your meeting with people, you can't just back off and not go for no good reason. Setting time for our own work often fails — there's chores to do that take longer than we thought, that "just one glance" at our e-mail tuned into an hour of surfing, etc. And if that happens, you either make yourself feel miserable (and thus less likely to do something creative), or just shrug it off. But when you cancel a date with someone, unless you have a very good reason, it bears social consequences — you're the "flaky one", people stop trusting your word. So for this reason when you plan a few hours of hanging out with artistic friends and do something creative, you will go there and do it, and you won't come back home without at least one new piece of work. If you're self-taught, you might not have many artistic friends. Your parents might not approve of your lifestyle. 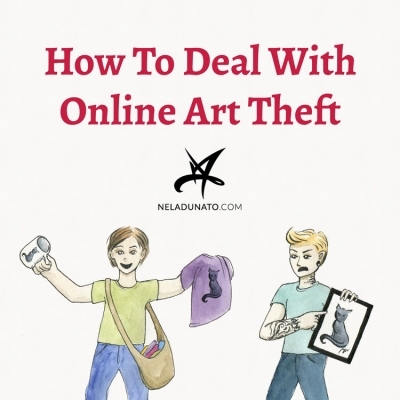 Your partner may not be as interested in all aspects of art, so you don't want to bore them. Your friends may not value the "work" part of artwork and think you're just playing all the time, and take your "talent" for granted (you know, all those compliments followed by "Oh, I wish I could draw like that!" and the blank look when you tell them "But you could!"). With artistic friends you can discuss about art supplies, learning methods, styles, challenges, gallery shows, classes, books, and everything else that would bore the hell out of your non-artsy friends! The Second Haunting by "The Hauntlings". I'm the one with the black blouse and brooch on my chest. If you have some online acquaintances in your city, this can be a chance to get to know them in person. Also, everyone you know might bring along someone you don't, so your circle of friends is ever expanding. If you remained at home alone, you would not get the same impressions as when you're somewhere outside, especially with other people. 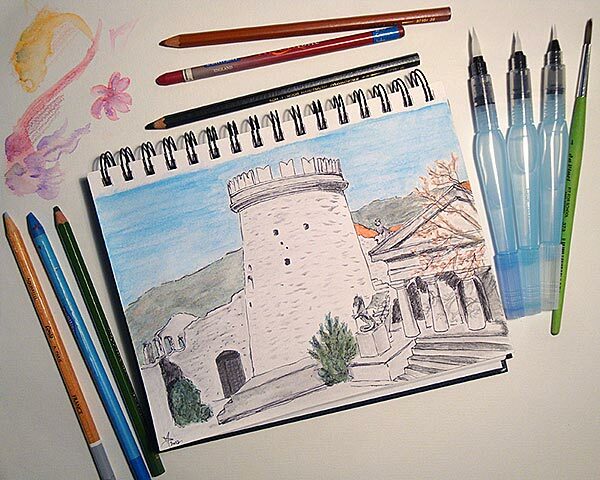 This inspiration can be direct, such as drawing architecture, portraits, etc. from life, or it can be more subtle — the very act of changing environment from the everyday one may trigger some subtle inner workings of your mind. Something you hear in a conversation may strike you and provide inspiration as well. I created this little watercolor illustration because I was inspired by a "haunted house" we visited during our first The Hauntlings meetup. 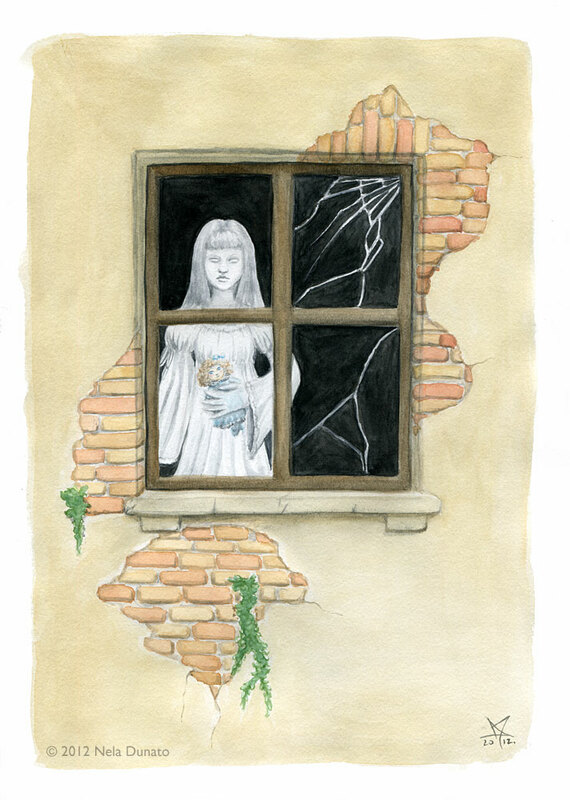 "Evelyn the lonely ghost", watercolor on A4 watercolor paper, 2012. Us artists are so curious when it comes to other people's process... we could spend hours looking at time lapse videos (another one here), WIP shots on Instagram or Tumblr, and whatnot. Seeing all the steps in-between makes the final work look less like unfathomable sorcery. It's a source of instruction. We want to see if perhaps there is something our colleagues do better and more efficient than us. A live demo is even better than that. You can really appreciate the time it takes to create something — time lapse videos can give a false feeling of effortlessness. During the live demo you can ask questions about anything you're curious about! 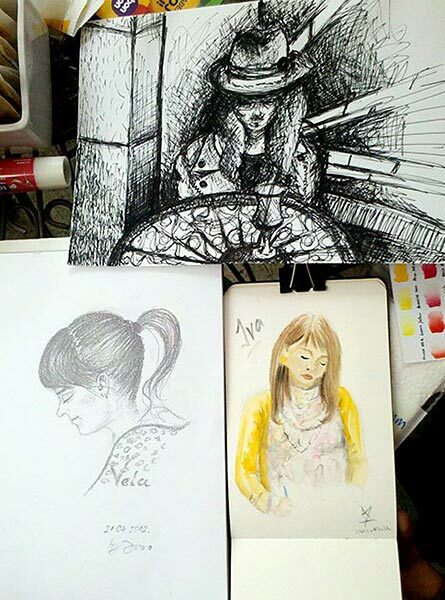 Does drawing in front of other people frighten you? Do you hate when people peek over your shoulder while you're working? This is a great chance to work on that issue, since you're surrounded by other artists who are just like you, and likely feel the same. You might have thoughts like "But what if my drawing turns out crappy?”, "What if I fail and they think I'm a bad artist?" — it's not going to happen. You are not being graded, and it's likely other people don't share your perception of failure. And even if you do make a boo-boo, like your portrait of a friend not looking much like him in the end - it doesn't matter! They will understand because they've either been there themselves, or still are. Relax. Self-taught artists have a hard time finding people to critique them, and even when they do get it, it's usually when the project is so far ahead that they'd have to do it all over again to fix those issues. But with other artists around you, you can ask them if it seems right while still in the rough sketch phase, and then check up a few times as you progress. Encourage people to be honest and point out if something seems off. Have you been in a slump lately, and need some extra boost to help you to keep your course, or perhaps change it into something new? Your colleagues probably have interesting stories about their projects. Some of they may just have the kind of career you hope to have soon. Ask them questions and they'll surely open up and tell you all about it! The key is of course, not to be envious because they're already where you want to be, and if thoughts like "I can't do what they do, because I'm not that good" arise, send them away and don't let them become your story that will overshadow everything that's good. You might find yourself coming home energized, motivated and inspired just from being around people who have those qualities! Are you struggling with something in your work? Is there a technique you never did and don't know how to start? Maybe others can provide the knowledge you need, or a missing piece of the puzzle. 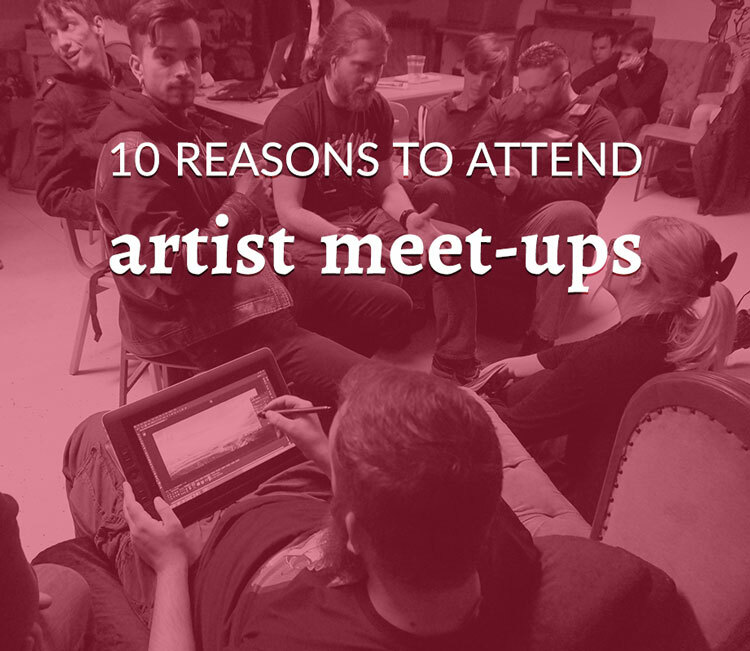 Artist meetups are a terrific way to brainstorm, just make sure to reciprocitate - everyone should get their chance to ask and get help. Have you been eyeing something online and pondering whether to buy it, and someone at the meetup has it? Or someone brought something you've never seen before and it looks really neat and practical? Ask them if you can try it out for a few minutes! I'm sure they won't mind, even kindergarten kids know you should share your toys with others. And maybe they want to try something you have, as well. Win win for everyone! Everyone wants to use my Pentel waterbrushes with watercolor pencils. 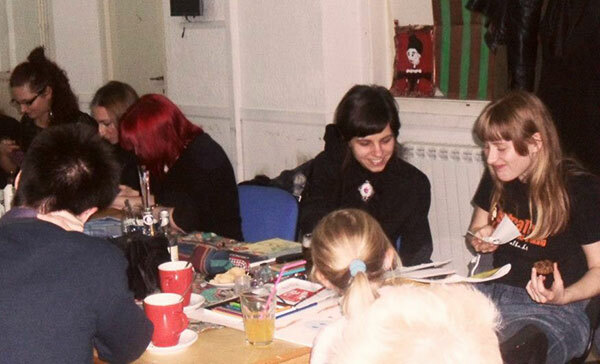 Now you may say, "That's all nice Nela, but there are no artists' gatherings where I live". So what? There weren't any around here either, and we made them! I organized the first SketchCrawl in Rijeka by sending out a tweet to some designers and illustrators that live around, and made a Facebook event to which I invited some of my friends. In the end, 7 of us showed up, of them 3 people I've never met before! My friend formed "The Hauntlings" all by herself. The first gathering was just a few friends, to see how everything would go. The Second Haunting was a public event on Facebook, and somewhere around 20 (!) people came and participated. It exceeded all our expectations. The Third Haunting was in an actual old abandoned house, something my friend had dreamed of from the very beginning. Did I convince you to attend an artist meet-up? Do you have any questions or fears? Did you ever attend one, and have some experiences to share? I thoroughly enjoyed this post. Great insights on accountability but also on the creative feeding that happens when you share with others who get what you do! Found on on the Goddess Circle so thanks for sharing there. Thank you, Arwen! I'm glad you liked it. I hope more people will realize how much benefits they can get from creative hangouts. Some really great thoughts in this post, Nela. Although I'm not visually artistic, this has got me thinking about the possibility of writer meetups - for exactly the same 10 reasons! I agree, these apply to writers as well, that's why I mentioned NaNoWriMo write-ins! It has worked for us, and some fabulous breakthroughs happen on such events. A person that comes uninspired and blocked walks away with 2000 words written, isn't that amazing? 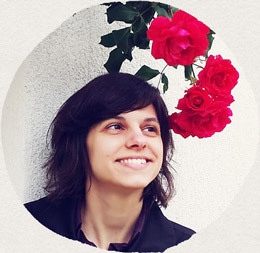 Hi Nela, Thanks for your comment on my craft blog. 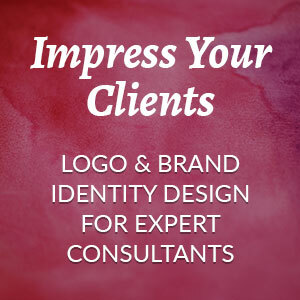 Your site is super and I really enjoyed your post on artist meet ups. Lots of good information. I love the diversity of your work, you are very talented! Your article is really great. Apart from designer you are very good writer. This topic is helpful. We really need to socialize ourselves with Artist like you mentioned. At every step of life we need some inspiration and support and its perfect way to do it. Thanks for sharing it with us. Louise, thank you for stopping by! :) I'm so glad to hear you enjoyed my work and my writing! Great blog and of course, amazing portfolio! I'm honored that you've been following my work before. I'm going to check out what you've done with the site right now! This is just a great idea. I find it very helpful to connect with others to create and connect. Sometimes life gets busy and without these opportunities I might not otherwise take the time. Thanks, Michelle :) I agree! At times when I have other pressing priorities, setting time for something like this definitely helps in making art a priority. I would have to agree that it is important to meet up with people in your industry on a regular basis. 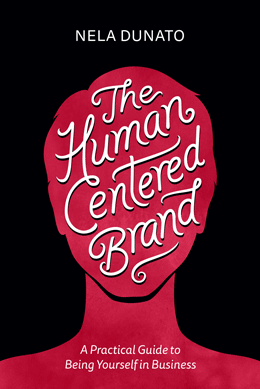 Its a great way to get connected to the scene and a great networking tool. Thanks for the share.